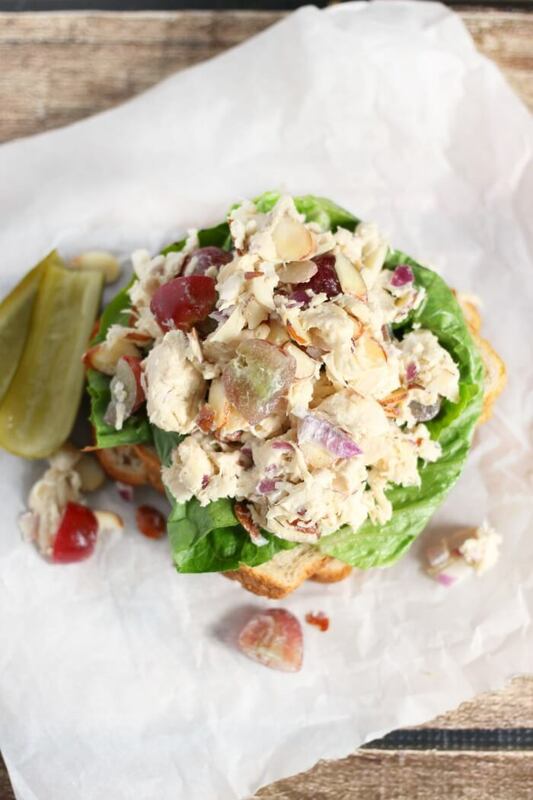 This chicken salad recipe made with fruit and nuts is the perfect lunch recipe idea. 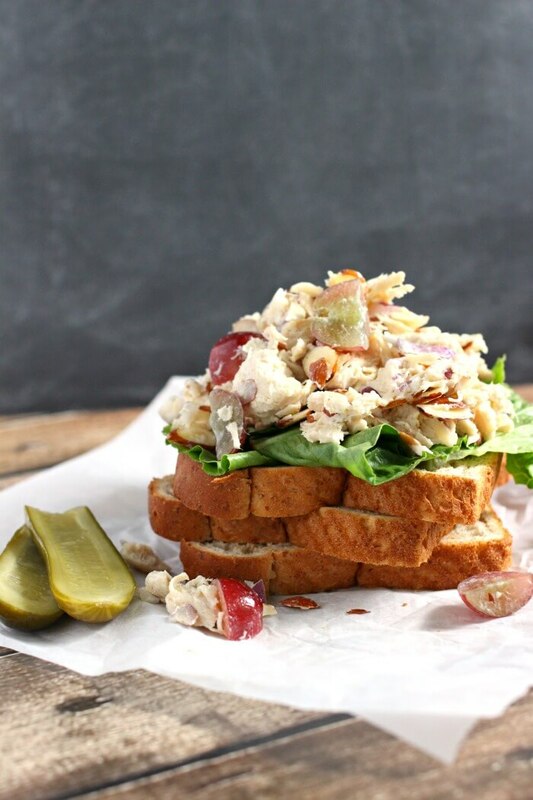 It is the BEST chicken salad recipe! 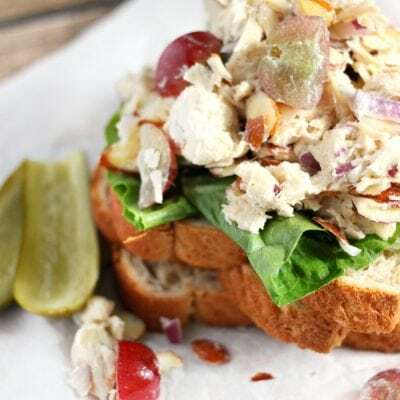 Whenever I make this chicken salad recipe (which is a lot, because it is the best chicken salad recipe), I have to make a double batch because it is everyone’s favorite chicken salad! 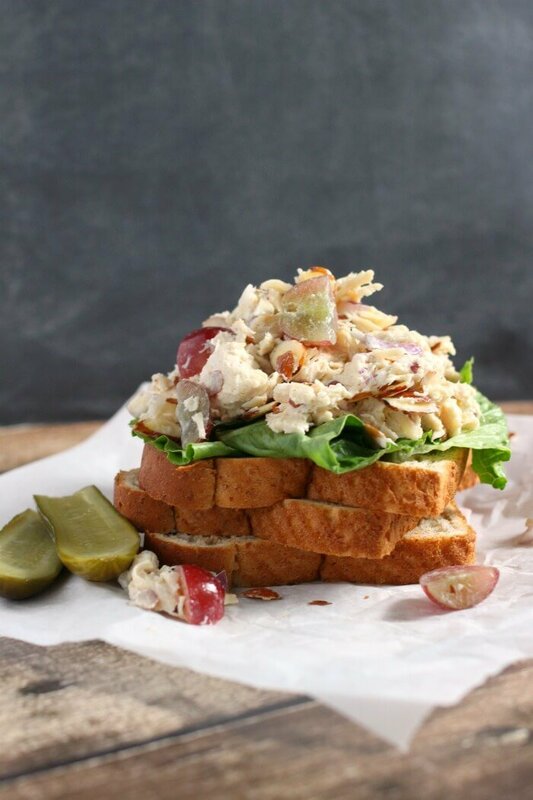 I like to serve this chicken salad recipe with homemade refrigerator pickles and if I’m feeling super ambitions, I’ll make a sandwich with our french bread recipe. Sometimes we put it out in a bowl with a serving of our cracker recipe too! Chicken – My preference for chicken salad is chicken breast. With the mayonnaise you don’t have to worry about it tasting too dry. Onion – Red onion is my favorite, but sweet yellow onion will work in a pinch also. Grapes – Red grapes! Make sure they’re seedless though, this is important. Almonds – Almonds are my favorites, but almost any nut (or even some seeds!) will be delicious. Mayonnaise – I love a full fat mayo in this chicken salad recipe, a little goes a lot way. 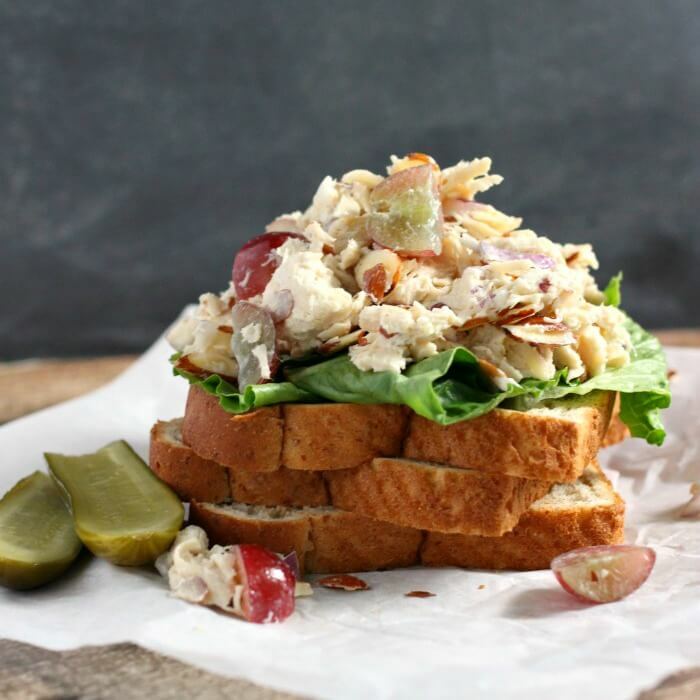 Basic chicken salad is a combination of chicken and mayonnaise. In this recipe we add grapes for sweetness, nuts for crunch, and onion for additional depth of flavor. What type of chicken for chicken salad? I like to use chicken breast for our chicken salad recipe, if I have it on hand (I like to prep chicken ahead and freeze it for stuff like this), but if I don’t have it on hand any kind of chicken will work! Leftover crispy chicken thighs are great, or even grab a rotisserie chicken from the market! Try different nuts or seeds instead of (or in addition to!) the almonds. Substitute mashed avocado for the mayonnaise. Toss in a few sprigs of fresh dill. Drizzle some of our honey mustard recipe over top. How many days can you keep homemade chicken salad? A chicken salad recipe will last in the refrigerator for about three days. Make sure you are using fresh ingredients so it lasts, and tastes great, for as long as possible. Is chicken salad good for you? Chicken salad is good for you! It is made with lean protein in the form of chicken breast, fiber and antioxidant filled grapes and onions, and almonds with healthy fats, fiber, protein, magnesium and vitamin E! The first time I had chicken salad with grapes was at a new friends house several years ago, and I’ll admit now that I turned my nose up to the stuff. Silly, silly me. I finally relented and tried some after way too much coaxing and have been a wholehearted convert ever since. This chicken salad recipe begs to be eaten on a creaky porch swing with some chilled sparkling cider and a crisp leafy green salad while enjoying the warm Spring breeze. Or, you know, over the kitchen sink with your children screaming circles around you. Either way it’s delicious. 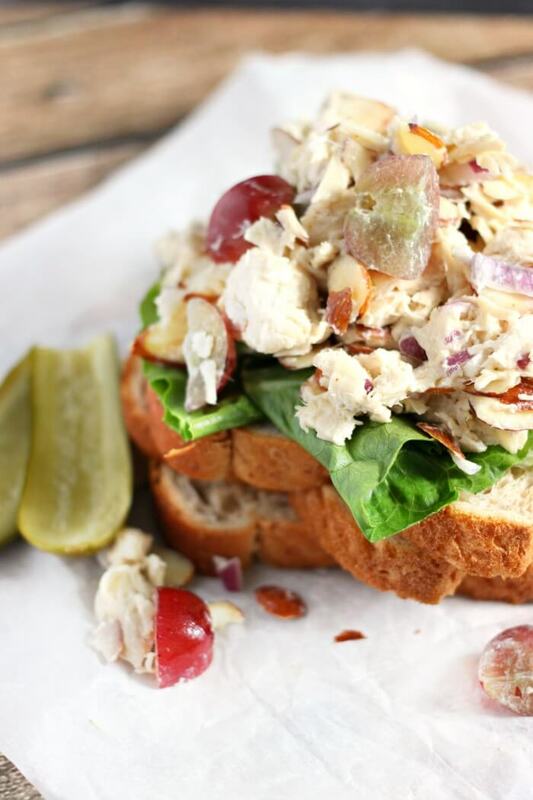 This chicken salad recipe made with fruit and nuts is the perfect lunch recipe idea! « Chimichurri – Best EVER Recipe! 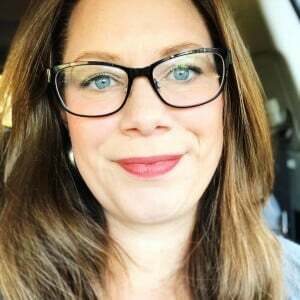 You should try Brianne's Poppy Seed Dressing on the chicken salad instead of mayo! 🙂 YUM!!! i like the grapes/almonds, but i think i'd throw in some apples/celery to the mix, as well, just because. and what do you think about tarragon as a spice in this salad? i'm tempted …. 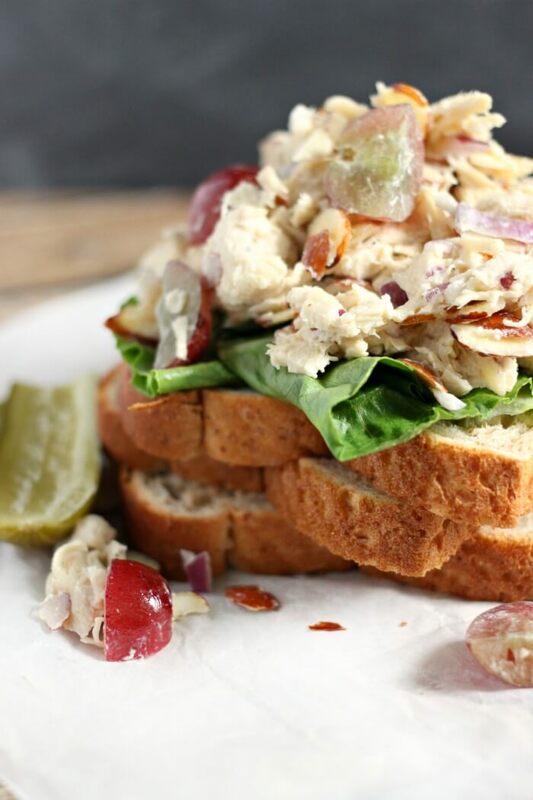 This is the most perfect chicken salad recipe! I love chicken salad with grapes! I can totally see why this disappears quickly at your house!